Ice golas are nothing new.That these are still popular on beaches in T.N. surprised me. When I's young long long ago,ice vendor with loads of ice slabs would be there waiting for school kids during interval and after the school closed.The children would rush to his cart for the ice gola.The vendor would grate the slab of ice, pick up a handful and press it hard to shape it into a ball.Then pushing a stick in the middle,would generously pour the sweetened colored water over it before handing it over to the kid,who'd start licking the gola instantly. I remember enjoying many such golas in those days.Upset stomachs happened frequently because of the unhygienic colored water,but who cared? The name is catchy and inviting for anyone to try. I'm surprised it's in English! What a lovely find, Jeevan! I have drank some of those drinks when I was younger. I wonder if Gola = Cola. I remember when all sodas (except carbonated water) were called Colas. sounds and looks like what we call 'shaved ice' here in the south or a 'snow cone' in other parts of the country. it is tiny crushed or shaved ice crystals flavored with various colors/flavors of syrup. you can eat the ice like flavored snow or use a straw to sip the cold flavoring from the melting ice, either way. The ice lollies look very inviting! The sign is definitely colorful. 'Ice Goa' is a new term for me, but I'll bet it's delicious and refreshing on a hot summer day. Very colourful. 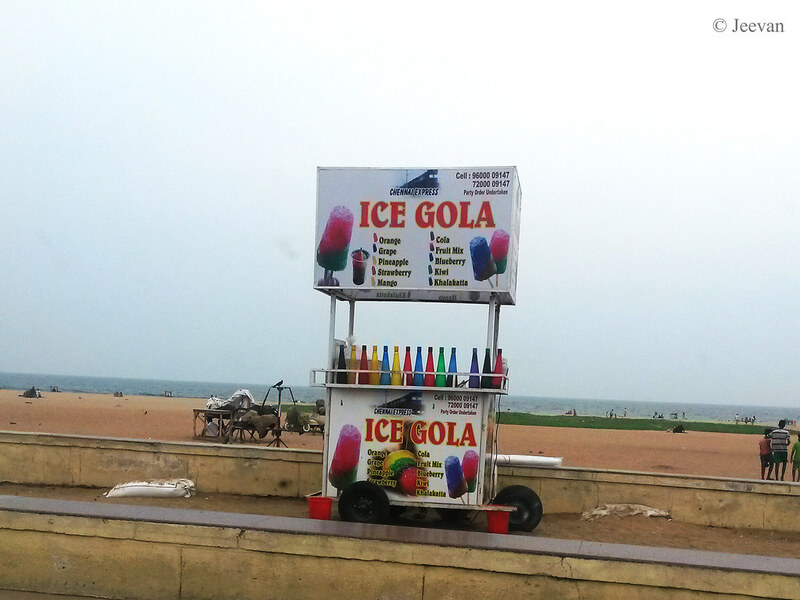 My kids love ice gola. We have called them snow cones over here with machines shaving ice and sweet liquids poured on them for flavor.